After a very successful cyclo-cross season for JIF riders, 2017 has started in a similar vein with success at the Welsh track championships in senior, youth and veteran categories. 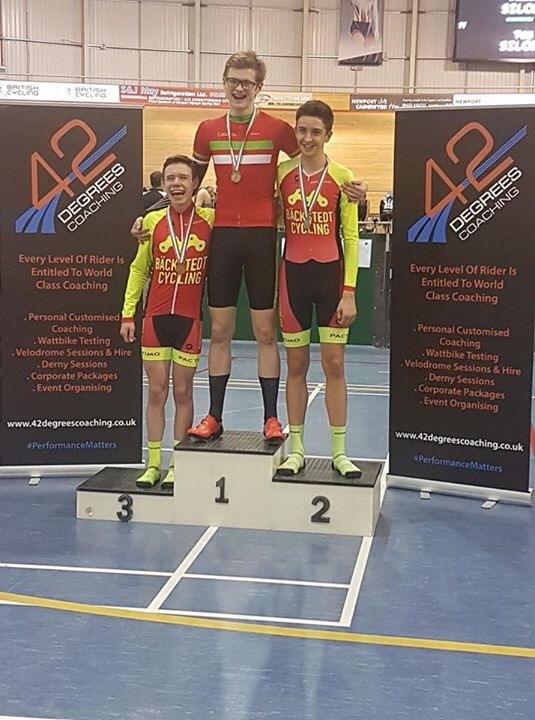 Highlights include Golds in Youth ‘A’ and Youth’B’ categories for Zach Bridges and Zach May, a pursuit Gold for our younger lads, a bronze for club stalwart Zach Minto in the Vets points race and a sizeable haul across the board. 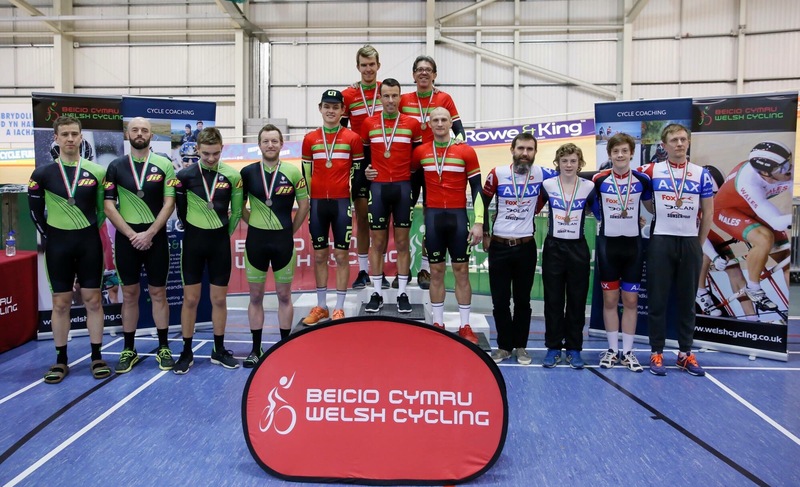 Congrats also to former JIF rider Zach May – now riding for Metaltek Kuota Racing Team – for taking the Welsh titles in the Pursuit, scratch and points. Shifting the focus away from the track and onto the road, Sam Beckett has started very strongly, taking the win at the Woolly Mamil winter circuit race (Stourport) on Saturday. The day after, JIF kids took podium places at LoveCrossed (the closing fixture in the Western League); including Anwen, Jess and Jack – with Ella impressively retaining her title. Here’s to an enjoyable, successful 2017.